In response to last month’s letter from Malcolm Leach, I believe chemical engineers should not rely on the debate about whether carbon dioxide is responsible for global warming as an excuse to delay development of the analytical tools needed to quantify and compare the 'carbon footprint' / 'energy returned on energy invested' of the processes we design. Some of these processes, such as those used to monetise stranded hydrocarbon assets have large embodied energy contents and are carbon intensive in operation. Others such as those that seek to sequestrate emissions of carbon dioxide from power plants reduce operating efficiencies and raise utility demands, most particularly that of cooling water. We live in times where the planet's ability to accommodate emissions from industrial processes (be they to the atmosphere, water or the soil) continues to give cause for concern. Chemical engineers therefore need to be extremely mindful of the public and regulatory response should warnings about climate change come to pass and we were seen not to have taken a precautionary stance in respect to quantifying the risks and potential liabilities associated with the release of carbon dioxide, methane and other greenhouse gases (GHG) to the environment. It should also be a concern to the Institute that other groups are taking a lead in formulating procedures and codes of practices to record and quantify such emissions. Amongst many examples, one can point to work by the GHG Protocol Initiative to develop a product and supply chain standard, the University of Bath’s efforts to quantify the embodied energy content of materials of construction and McKinsey & Co’s work to cost GHG abatement curves. It may also be noted that the International Federation of Accountants (IFAC) has even proposed that only professionally qualified accountants be authorised to assure GHG emissions statements. The Institute’s sole contribution to date appears to be the publication some 8 years ago of a procedure covering sustainable development metrics in the process industries. I would be interested to learn if other members of the Institute feel that chemical engineers should take a more proactive role in accounting for carbon and emissions of greenhouse gases or whether as Malcolm suggests, we should leave things until future surveys show the public has had a change of heart about climate change. Footnote: Energy return on investment (EROI) is the ratio of gross fuel extracted to economic energy required directly and indirectly to deliver fuel to society in a useful form - see the following paper for details: Energy and US Economy: A Biophysical Perspective, Cleveland, et al, 1984. Also see an article by Jamie Bull on the oCo Carbon website which compares the energy returned on energy invested (EROEI) for a number of technologies used to generate electricity. 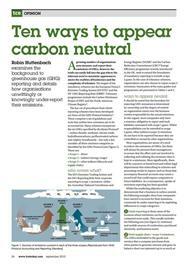 I have written an article to be published shortly in the Chemical Engineer that identifies a number of work-arounds (some deliberate, some performed unknowingly) that companies use to appear 'carbon neutral' when reporting emissions of greenhouse gases. I have taken the opportunity in this web post to update and expand upon some of the details presented in the article. 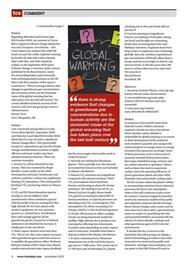 Most organisations are aware of a reputational need to reduce emissions of greenhouse gases, but any drive to implement will be tempered by the wishes of management to keep the effort and cost of collating the necessary data to a minimum. It is also likely that the risk of placing details in the public domain will raise concerns at board level and within legal departments. For example, submitting data to voluntary schemes, presenting information in sustainability reports or discussing climate related risks in the management reports that accompany financial results could create a record trail that might expose companies to future liabilities should climate change begin to have a more marked impact on people's lives. Given such issues, it is not surprising that uptake of emissions reporting to date has been guarded. Purchase offsets. These allow a business to claim neutrality at little cost, but the technique usually overlooks the quantities of gases generated by those companies supplying goods and services to the business - see for example the following article published by the Wall Street Journal which examined a claim by Dell the computer manufacturer that its operations were carbon neutral. The availability of offsets also encourages organisations not to invest in less carbon intensive processes as evidenced by the numbers of carbon credits purchased in recent years by European power generation companies and steel manufacturers. Concerns have also been raised about some of the methodologies used to create offsets under the UNFCCC's Clean Development Mechanism (CDM), in particular those associated with the over-production and subsequent destruction of the hydrofluorocarbon and major green house forcing agent, HFC-23. 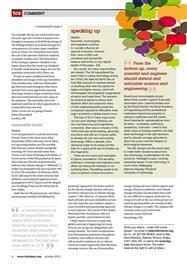 Focus reporting on the one gas – carbon dioxide. Emissions of other greenhouse gases such as methane (CH4) and nitrous oxide (N2O) have much higher warming potentials, but until recently there has only been a voluntary requirement for organisations to record quantities released into the atmosphere as part of their carbon footprint. This will change with the introduction of mandatory reporting in the US and proposals to increase the scope of the European trading scheme when Phase 2 ends in 2012. 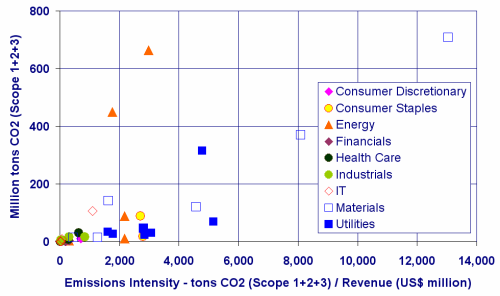 Omit supply chain / Scope 3 emissions. The greenhouse gases embedded in the goods and services that companies purchase from other parties to generate revenue and grow their balance sheets can constitute a very large part of any organisation's total emissions - see for example a recent paper by Carnegie-Mellon's Green Design Institute (GDI) that reviews the carbon footprint of enterprises across different sectors of the US economy. Outsource manufacturing capabilities to companies located in other countries. This is an approach that the developed nations have unwittingly relied upon to help them report a supposed reduction in emissions in recent years. Use subsidiaries or licence process technologies to companies in regions of the world where disclosure is not mandatory. This is an effective technique that international corporations have used to move the reporting of large quantities of gas ‘off-book’. Invest in, but do not own or hold a controlling interest in organisations that are large emitters of greenhouse gases. This is commonly used by banks and investment houses to minimise reporting of Scope 3 emissions. Rely on an economic down-turn to reduce emissions or close / mothball assets that previously have been allocated large emission quotas. Submit emissions data in a timely manner to a voluntary reporting scheme. Demonstrating a company’s commitment to reporting can earn high marks in annual surveys, but does not necessarily reflect true emissions performance. A recent example can be seen in a scheme promoted by the Carbon Disclosure Project where more than half the companies ranking highly in a Global 500 Leadership Index actually demonstrated very poor returns on embodied carbon employed - typically, emission intensities greater than 2,000 tons CO2 / million $ revenue. Rely on good advertising copy. This is an effective marketing technique widely used with sustainability reporting and in corporate social responsibility (CSR) circles. The EU's Environment Agency (EEA) in a recent press release reports that member states continue to reduce emissions of greenhouse gases and that values for 2008 were 11% less than levels recorded in 1990. Sources of the decline include the closure of manufacturing plant, reduced consumption of coal, increased use of gas and renewables (biomass, wind and hydro-electric) and improved use of energy. 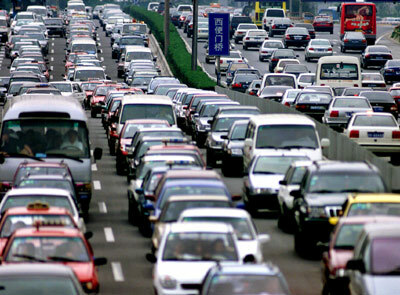 The recession that began in 2009 has further reduced emissions in the manufacturing, construction and transport sectors. A number of conferences and workshops have been convened in the UK to discuss how organisations can determine the carbon footprint of their operations. Examples include those arranged by the Carbon Counting Group and London Business Conferences. You can download a pdf version (or purchase a hard copy) of a very useful energy reference book by Professor MacKay of the Department of Physics, Cambridge University from the following website: http://www.withouthotair.com. The Carbon Trust and the UK's Department for the Environment, Food and Rural Affairs (DEFRA) have developed a method for assessing the life cycle, greenhouse gas emissions of goods and services. Details have been published by the British Standards Institute (BSI) as a Publicly Available Standard (PAS 2050:2008). Details of the methodology can also be located on the Trust's Footprinting Process site. Carbon footprint and life cycle supply chain standards are also being developed by the International Standards Organisation (ISO-14067) and the GHG Protocol Initiative. Here is a copy of a presentation on the need for a common accounting approach that I prepared for a seminar on managing carbon credits and emissions held at the Institute of Mechanical Engineers in London in September 2007. The aim of the document was to encourage discussion and solicit feedback on how we might assign a price to carbon and use this to incentivise investment in more carbon efficient processes. It also outlines the problem of how the value of carbon could be handled via the balance sheet and profit and loss account. This is not a simple task. For more information about carbon footprints and some details of how these might be determined, please refer to the set of lecture notes presented in earlier blogs: Part 1 and Part 2. Part 1 of a talk presented on the 9th of May introduces the concept of 'carbon footprint' and describes its relationship with terms such as 'embodied energy'. 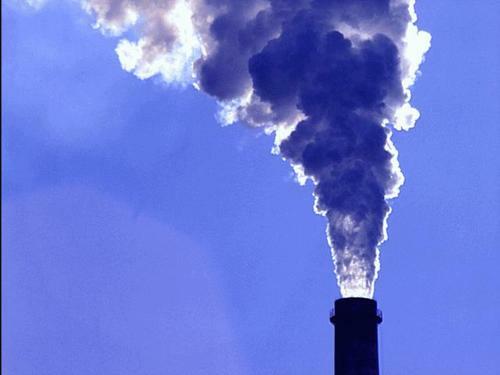 It outlines the growing awareness that the emissions of green house gases, primarily associated with the combustion of fossil fuels, is linked to climate change. It also highlights some of the potential liabilities companies working in the oil and gas sector face if they fail to assess the carbon risk of their operations. A copy of the presentation can be accessed via the following link. Part 2 of the talk outlines details of a methodology that could be used to determine direct and indirect emissions of carbon dioxide. A copy can be located here.